Happy New Year to all! We hope that your 2018 is filled with straighter drives and sinkable putts! 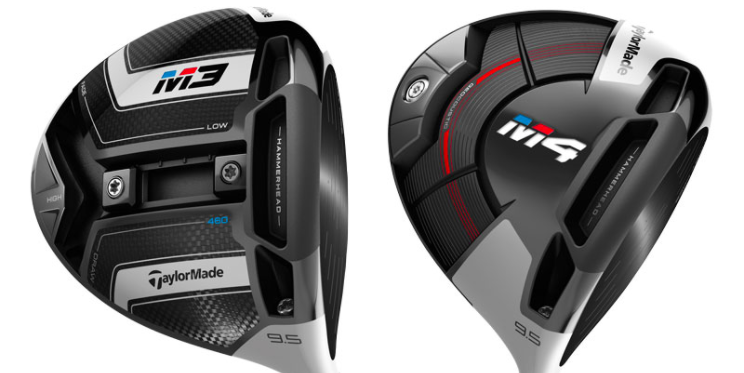 TaylorMade has set out to help us with the driving part of our New Year’s resolution as they revealed a new “Twist Face” on their M3 and M4 drivers. TaylorMade’s VP of Product Creation, Brian Bazzel, gathered some of their Tour Pros in a round table discussion of their misses off the tee. The pros, who include Rory, DJ, Rahm, Day and Rose, all had very different miss-patterns signalling Bazzel to explain why their new “Twist Face” will be compatible to all player’s miss hits. Most driver faces today have the technology to give forgiveness on miss-hits. Limiting yards off-target but also limiting yards in distance. The M3 and M4’s face will give players less yards off-target and limit the amount of distance loss after an off-center ball strike. See the pros reaction to the new technology.